Mainstream media has proven since 2007 to be one more arm of the Obama publicity and punditry machine: they highlight and cheer obama’s every perceived accomplishment and black out and cover up any of the president’s failings or missteps. Eric Holder remains Obama’s point and confidence man. And this time around it’s not an AG smuggling guns south of the border; this time Holder’s fingerprints appear to be on the purported International Traffic in Arms Regulations (ITAR) violations by NASA Ames Research Center Director, Simon P. “Pete” Worden. 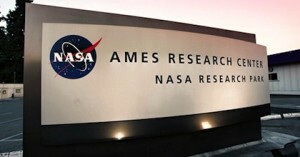 We have been informed of an investigation of the Federal Bureau of Investigation (FBI), the NASA Office of the Inspector General and other law enforcement agencies have been working on since 2009 relating to the alleged illegal transfer of ITAR-controlled technology by individuals at the NASA Ames Research Center. It is our understanding that this illegal technology transfer may have involved classified Defense Department weapons system technology to foreign countries, including China, potentially with the tacit or direct approval of the center’s leadership. We were very concerned to learn earlier this week that despite the U.S. Attorney’s request for permission from the Justice Department to proceed with the indictments, this request was recently denied without explanation, despite the backing of both the FBI and the U.S. Attorney’s office. We are deeply concerned that the political pressure may be a factor and are formally requesting an investigation into the circumstances of the Justice Department’s actions with regard to this case. GOP lawmakers, and every independent news outlet and new media site must sound off loudly without ceasing. MSM has been silent concerning the weapons and defense technology compromise and subsequent squash by Holder’s department–it’s up to citizens and citizen journalists nation-wide to shine a bright light on a potentially dangerous breech. Main Stream Media may be in Obama’s pocket, but perhaps there remain some honest journalists who will hold AG Holder’s feet to the fire until he relents and allows the investigations to continue: America’s security is at risk. Read more articles by Kevin Jackson at TheBlackSphere.net.